Hanging out with the girls at Sinos Santana Row. Perfect weather for outdoor dining. Today's outfit of the the day, Madewell tee, KUT distressed jeans painted up with Dolce Vita chelsea. 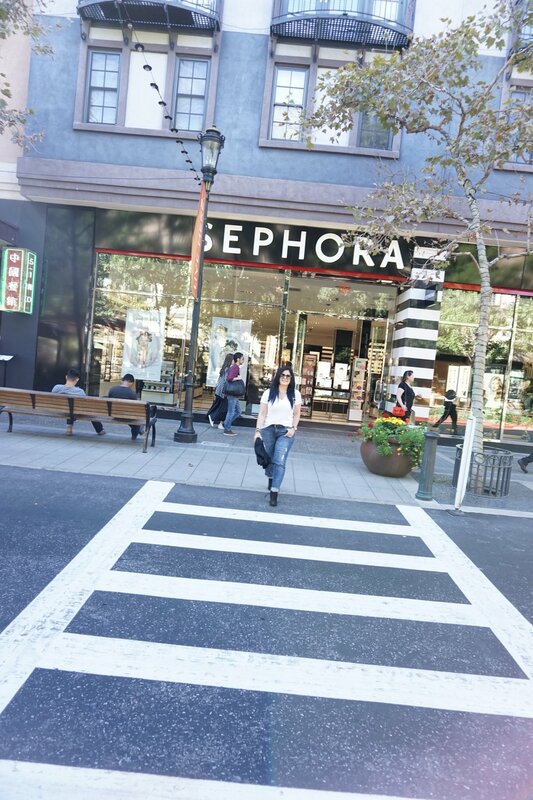 Santana Row is an outdoor shopping mall in San Jose, California. Westfield Valley Fair is located across Stevens Creek Boulevard from it, and the Winchester Mystery House is just to its west, across Winchester Boulevard.